Email is American Express’s largest-scale outbound marketing channel, Brian Coleman, VP, small business customer loyalty marketing at Amex, told MediaPost’s Email Insider Summit in December 2018. (Here’s a link to the video presentation.) The brand is looking to have that asset serve a broader range of purposes, as it always need to know what its customers need and when they need it. Amex focuses on the small-business customer as an individual who operates a business. The preferences are similar to the consumer but the expecation is higher. It needs to have an even more precise understanding of the value of their time. They can quickly see whether you are bringing value to them. From a marketing perspective, Amex wants to have a totally unified experience on the front end from a customer standpoint and to treat its customer consistently across channels. 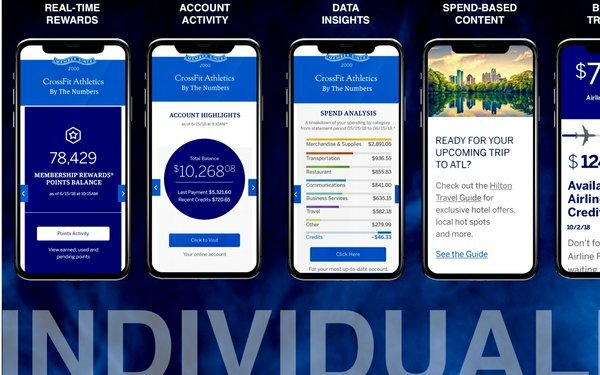 Amex takes the data it collects and shows it back to its customers, making them the star of the email newsletter itself. It checks off a lot of boxes about privacy and showing them the value that you can give them via the data it is collecting, which is rarely done. “We do hear about the value we bring them,” said Coleman. “One datapoint I find interesting is how often people go back to the email; 51% come back three or more times. We see this in real time.” The newsletter is constantly being refreshed so customers can see by the time stamp that they are seeing the most recent data. Business owners have a high standard on the value of their time; they decide in a second or two whether to spend time with the email or not. The purpose of the design is to quickly demonstrate the value of the email content. So Amex’s emails are very visual, using info graphics, bar charts, and a select usage of imagery. Although customers will see many modules with different versions of content, Amex tries to keep the emails from becoming rote. The measure of the success of its email newsletter is when customers make a better strategic decision for their business. That idea informs all of the brand’s decisions. The newsletter provides Amex the scale to test quickly. Learnings can be applied to other channels.